Designed by Peter Homestead, the Cantos Padded Sling Collection was inspired by music. The name Cantos comes from the Italian word Canto, meaning “to sing”. 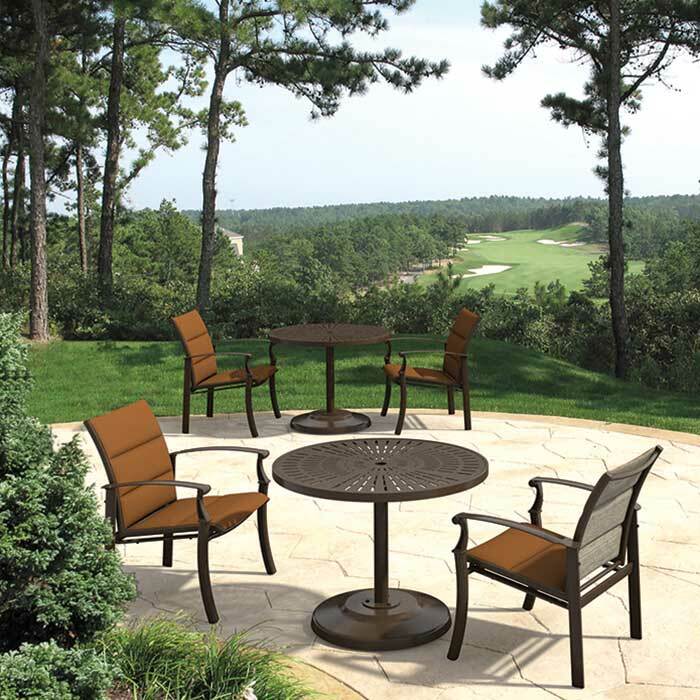 Cantos Outdoor Furniture features wide arms for comfort that is capped in a unique casting which resembles the F Clef music note. The aluminum frame has a transitional or traditional design depending upon your selected frame finish and fabric. Available in padded sling, the Cantos Outdoor Furniture Collection includes a stacking dining chair and stationary bar stool.